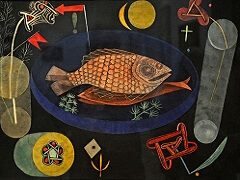 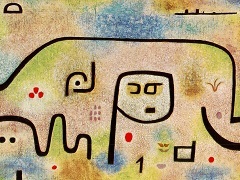 In 1927 Paul Klee explained his longing for "local color" experienced through travel: "This is what I search for all the time: to awaken sounds which slumber inside me, a small or large adventure in color." 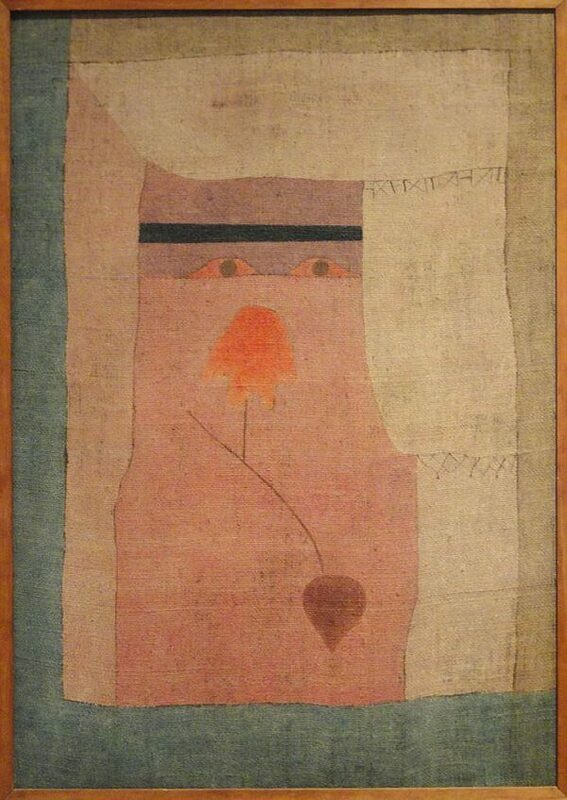 In Arab Song, he found these sounds and wove them into a melody of extreme simplicity, extolled by Duncan Phillips: "With only a raw canvas stained to a few pale tones, he evoked a hot sun, desert dust faded clothes, veiled women, an exotic plant, a romantic interpretation of North Africa." 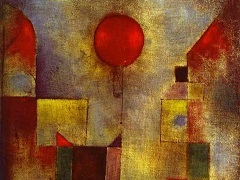 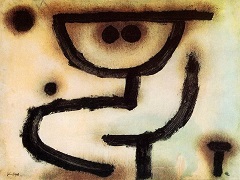 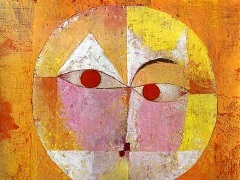 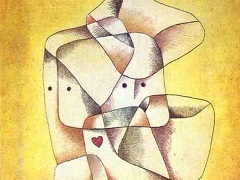 In composition, Arab Song is a distilled example of Klee's search for a visual analogy to music. 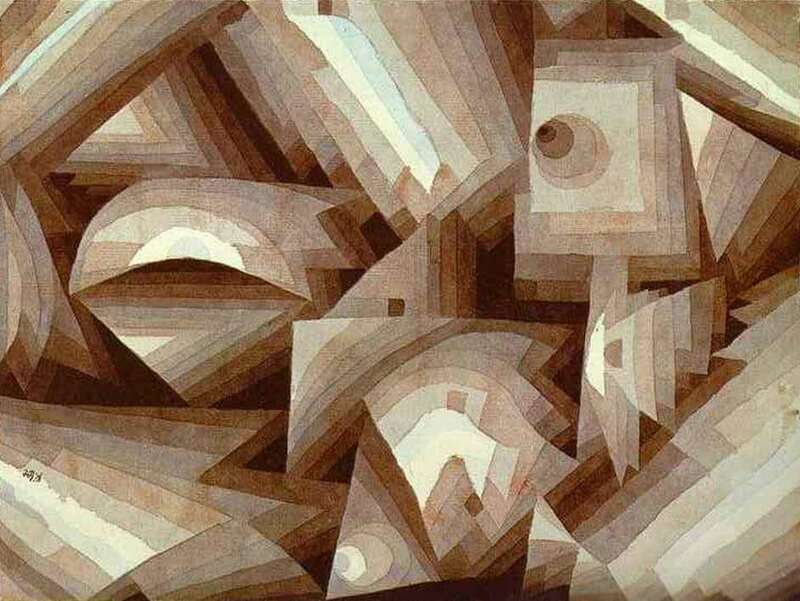 Earlier and more complex efforts ranged from shifting horizontals of Egyptian desertscapes to works with overlapping color squares, all suggesting musical polyphony. 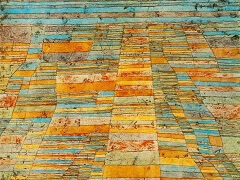 In reducing the complexity of earlier works to a simple melody, Klee created in Arab Song a deeply romantic evocation, both of Egypt - its colors, stark geometry, and vast horizons - and of Tunisia, which he experienced as a young man.